If you were at Microsoft Build this week in San Francisco, you hung out with six thousand of your closest friends. At least, your closest friends who are enterprise .NET developers, or who are building apps for some version of Windows 8. Those aren’t necessarily the same people. The Microsoft world is more bifurcated than ever before. There’s the solid yet slow-moving world of the Microsoft enterprise stack. Windows Server, SQL Server, Exchange, SharePoint, Azure and all that jazz. This part of Microsoft thinks that it’s Oracle or IBM. And then there’s the quixotic set of consumer-facing products. Xbox, Windows Phone, the desktop version of Windows 8, and of course, snazzy new hardware like the Surface tablet. This part of Microsoft thinks that it’s Apple or Google – or maybe Samsung. While the company’s most important (and most loyal) customer base is the enterprise, there’s no doubt that Microsoft wants to be seen as Apple, not IBM. Hip. Creative. Innovative. In touch with consumers. #Microsoft wants to trend on Twitter. To thrive in the consumer world, the company must dig deeper and do better. The highlight of Build was the preview of Windows 8.1, with user experience improvements that undo some of the damage done by Windows 8.0. It’s great that you can now boot into the “desktop,” or traditional Windows. That is important for both desktop and tablet users. Yet the platform remains frenetic, inconsistent and missing key apps in the Tile motif. While the Tile experience is compelling, it’s incomplete. You can’t live in it 100%. Yet Windows 8.0 locked you away from living in the old “desktop” environment. Windows 8.1 helps, but it’s not enough. In his keynote address (focus on consumer tech), Microsoft CEO Steve Ballmer pushed two themes. One was that the company is moving to ship software faster. Citing the one-year timeline between Windows 8.0 and Windows 8.1 — instead of the traditional three-year cycle — the unstated message is that Microsoft is emulating Apple’s annual platform releases. 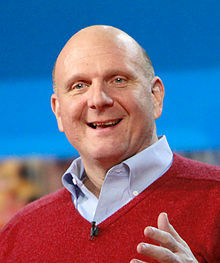 “Rapid Release is the new norm,” Ballmer said. A second theme is that Microsoft’s story is still Windows, Windows, Windows. This is no change from the past. Yes, Microsoft plays better with other platforms than ever before. Even so, Redmond wants to control every screen — and can’t understand why you might use anything other than Windows. Tickets for the Apple Worldwide Developer Conference went on sale on Thursday, April 25. They sold out in two minutes. Who says that the iPhone has lost its allure? Not developers. 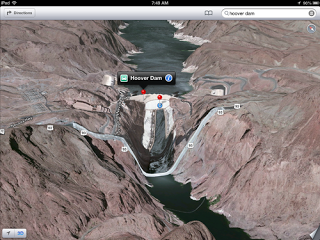 Sure, Apple’s stock price is down, but at least Apple Maps on iOS doesn’t show the bridge over Hoover Dam dropping into Black Canyon any more. Tickets for the developer-focused event at San Francisco’s Moscone West, which features presentations and one-on-one time with Apple’s own in-house engineers, sold out in just two hours in 2012, in under 12 hours in 2011, and in eight days in 2010.
Who attends the Apple WWDC? Independent software developers, enterprise developers and partners. Thousands of them. Many are building for iOS, but there are also developers creating software or services for other aspects of Apple’s huge ecosystem, from e-books to Mac applications. Mobile developers love tech conferences. Take Google’s I/O developer conference, scheduled for May 15-17. Tickets sold out super-fast there as well. The audience for Google I/O is potentially more diverse, mainly because Google offers a wider array of platforms. You’ve got Android, of course, but also Chrome, Maps, Play, AppEngine, Google+, Glass and others beside. My suspicion, though, is that enterprise and entrepreneurial interest in Android is filling the seats. Mobile. That’s where the money is. I’m looking forward to seeing exactly what Apple will introduce at WWDC, and Google at Google I/O. Meanwhile, if you are an Android developer and didn’t get into Google I/O before it sold out – or if you are looking for a technical conference 100% dedicated to Android development – let me invite you to register for AnDevCon Boston, May 28-31. We still have a few seats left. Hope to see you there. We had lots of sessions, many of which were like trying to drink from a fire hose. That’s a good thing. 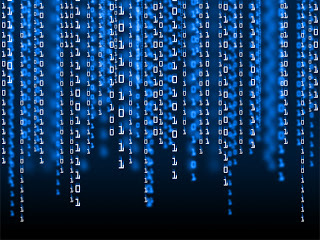 A commonality is that there is no single thing called Big Data. There are oodles of problems that have to do with capturing, processing and storing large quantities of structured and unstructured data. Some of those problems are called Big Data today, but some have evolved out of diverse disciplines like data management, data warehousing, business intelligence and matrix-based statistics. Problems that seemed simple to solve when you were talking about megabytes or terabytes are not simple when you’re talking about petabytes. 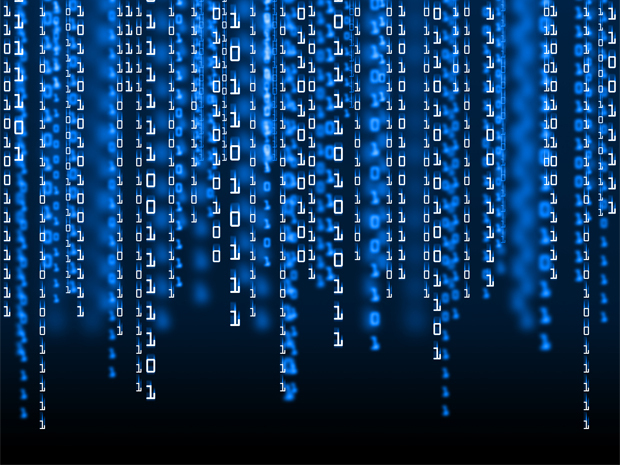 You may have heard about the “Four V’s of Big Data” – Volume, Velocity, Variety and Veracity. Some Big Data problems are impacted by some of these V’s. Other Big Data problems are impacted by other V’s. Think about problem domains where you have very large multidimensional data sets to be analyzed, like insurance or protein folding. Those petabytes are static or updated somewhat slowly. However, you’d like to be able to run a broad range of queries. That’s an intersection of data warehousing and business intelligence. You’ve got volume and veracity. Not much variety. Velocity is important on reporting, not on data management. Or you might have a huge mass of real-time data. Imagine a wide variety of people, like in a social network, constantly creating all different types of data, from text to links to audio to video to photos to chats to comments. You not only have to store this, but also quickly decide what to present to whom, through relationships, permissions and filters, but also implement a behind-the-scenes recommendation engine to prioritize the flow. Oh, and you have to do it all sub-second. There all four V’s coming into play. Much in Big Data has to do with how you model the data or how you visualize it. In non-trivial cases, there are many ways of implementing a solution. Some run faster, some are slower; some scale more, others scale less; some can be done by coding into your existing data infrastructure, and others require drastic actions that bolt on new systems or invite rip-and-replace. Big Data is fascinating. Please join us for the second Big Data TechCon, coming to the San Francisco Bay Area in October. See www.bigdatatechcon.com. Worldwide PC shipments totaled 76.3 million units in the first quarter of 2013 (1Q13), down -13.9% compared to the same quarter in 2012 and worse than the forecast decline of -7.7%. Despite some mild improvement in the economic environment and some new PC models offering Windows 8, PC shipments were down significantly across all regions compared to a year ago. Fading Mini Notebook shipments have taken a big chunk out of the low-end market while tablets and smartphones continue to divert consumer spending. PC industry efforts to offer touch capabilities and ultraslim systems have been hampered by traditional barriers of price and component supply, as well as a weak reception for Windows 8. The PC industry is struggling to identify innovations that differentiate PCs from other products and inspire consumers to buy, and instead is meeting significant resistance to changes perceived as cumbersome or costly. The industry is going through a critical crossroads, and strategic choices will have to be made as to how to compete with the proliferation of alternative devices and remain relevant to the consumer. It’s all about the tablets, folks. 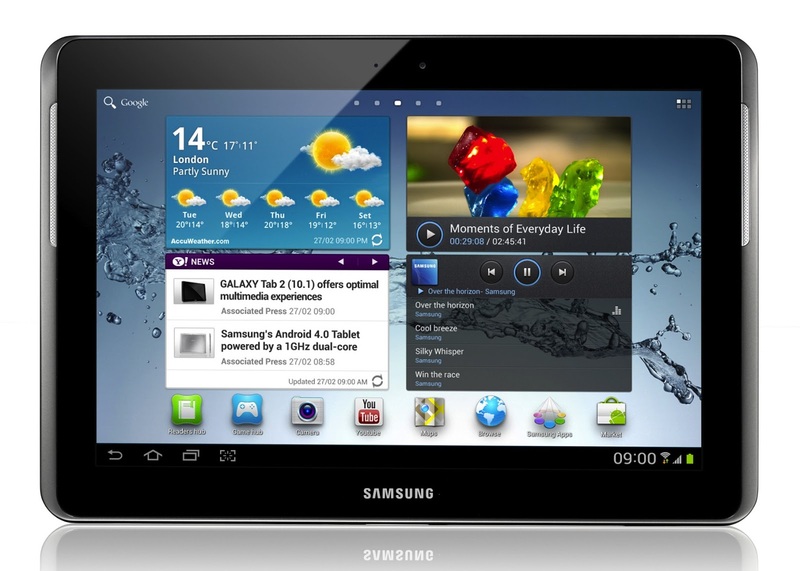 That’s right: iPads and Android-based devices like the Samsung Galaxy, Kindle Fire, Barnes & Noble Nook and Google Nexus. Attempts to make standard PCs more tablet-like (such as the Microsoft Surface devices) just aren’t cutting it. Just as we moved from minicomputers to desktops, and from desktops to notebooks, we are moving from notebooks to tablets. Just as desktops/notebooks have different operating systems, applications, data storage models and user experiences than minicomputers (and minicomputer terminals), so too the successful tablet devices aren’t going to look like a notebook with a touchscreen. Apps, not applications; cloud-based storage; massively interconnected networks; inherently social. We are at an inflection point. There’s no going back. Packing lists – check. Supplies ordered – check. Show bags on schedule – check. Speakers all confirmed – check. Missing laptop power cord located – check. Airline tickets verified – check. Candy purchased for reservation desk – check. Our team is getting excited for the debut Big Data TechCon. It’s coming up very shortly: April 8-10 in Boston. What drove us to launch this technical conference? Frustration, really, that there were mainly two types of face-to-face conferences surrounding Big Data. The first were executive-level meetings that could be summarized as “Here’s WHY you should be jumping on the Big Data bandwagon.” Thought leadership, perhaps, but little that someone could walk away with. The second were training sessions or user meetings focused on specific technologies or products. Those are great if you are already using those products and need to train your staff on specific tools. What was missing? A practical, technical, conference focused on HOW TO do Big Data. How to choose between a wide variety of tools and technologies, without bias toward a particular platform. How to kick off a Big Data project, or scale existing projects. How to avoid pitfalls. How to define and measure success. How to leverage emerging best practices. All that with dozens of tutorials and technical classes, plus inspiring keynotes and lots and lots of networking opportunities with the expert speakers and fellow attendees. After all, folks learn in both the formal classroom and the informal hallway and lunch table. The result – Big Data TechCon, April 8-10 in Boston. If you are thinking about attending, now’s the time to sign up. Learn more at www.bigdatatechcon.com. What is going on at Google? I’m not sure, and neither are the usual pundits. Last week, Google announce that Andy Rubin, the long-time head of the Android team, is moving to another role within the company, and will be replaced by Sundar Pichai — the current head of the company’s Chrome efforts. Having exceeded even the crazy ambitious goals we dreamed of for Android—and with a really strong leadership team in place—Andy’s decided it’s time to hand over the reins and start a new chapter at Google. Andy, more moonshots please! Going forward, Sundar Pichai will lead Android, in addition to his existing work with Chrome and Apps. Sundar has a talent for creating products that are technically excellent yet easy to use—and he loves a big bet. Take Chrome, for example. In 2008, people asked whether the world really needed another browser. Today Chrome has hundreds of millions of happy users and is growing fast thanks to its speed, simplicity and security. So while Andy’s a really hard act to follow, I know Sundar will do a tremendous job doubling down on Android as we work to push the ecosystem forward. What is the real story? The obvious speculation is that Google may have too many mobile platforms, and may look to merge the Android and Chrome OS operating systems. The two operating system chiefs have long clashed as part of a political struggle between Rubin’s Android and Pichai’s Chrome OS, and the very different views of the future each man espouses. The two operating systems, both based on Linux, are converging, with Android growing into tablets and Chrome OS shrinking into smaller and smaller laptops, including some powered by chips using the ARM architecture popular in smartphones. There’s a certain logic to consolidating the two operating systems, but it does seem odd that the man in charge of Android – far and away the more successful and promising of the two systems – did not end up on top. And there are hints that the move came as something of a surprise even inside the company; Rubin’s name was dropped from a SXSW keynote just a few days before the Austin, Texas conference began. Other pundits seem equally confused. Hopefully, we’ll know what’s on going on soon. Registration for Google’s I/O conference opened – and closed – on March 13. If you blinked, you missed it. We’ll obviously be covering the Android side of this at our own AnDevCon conference, coming to Boston on May 28-31. Is Big Data a fancy way of saying Big Social? What do companies use Big Data technologies to analyze? Sales transactions. Social media trends. Scientific data. Social media trends. Weather readings. Social media trends. Prices for raw materials. Social media trends. Stock values. Social media trends. Web logs. And social media trends. Sometimes I wonder if the entire point of Big Data is to sort through tweets. And Pinterest, Facebook and Tumblr – as well as closed social media networks like Salesforce.com’s Chatter and Microsoft’s recently acquired Yammer. Social media – nowadays referred to simply as “social” – is proving to be very effective in helping organizations improve communications. Document repositories and databases are essential, of course. Portal systems are vital. But traditional ways of communication, namely e-mail and standard one-to-one instant messaging, aren’t getting the job done, not in big organizations. Employees drown in their overflowing inboxes, and don’t know whom to message for information or input or workflow. What Big Data analysis can show you is not just what is going on and what the trends are, but who is driving them, or who are at least on top of the curve. Use analytics to find out which of your customers are tastemakers – and cultivate them. Find out which of your partners are generating the most tractions – and deepen those ties. And find out which of your employees, through in-house social tools like instant messaging, blogs, wikis and forums, are posting the best information, are attracting followers and comments, and are otherwise leading the pack. Treasure those people, especially those who are in your IT and development departments. Big Social is the key to your organization’s future. Big Data helps you find and turn that key. We’ll cover both those trends at Big Data TechCon, coming to Boston from April 8-10. Hope to see you there. https://alanzeichick.com/wp-content/uploads/bd.jpg 240 320 Alan Zeichick http://alanzeichick.com/wp-content/uploads/alan-zeichick-logo.png Alan Zeichick2013-03-11 23:02:002016-06-16 10:42:05Is Big Data a fancy way of saying Big Social? Just about everyone is talking about Big Data, and I’m not only saying that because I’m conference chair for Big Data TechCon, coming up in April in Boston. Take Microsoft, for example. On Feb. 13, the company released survey results that talked about their big customers’ biggest data challenges, and how those relate to Big Data. • 32% expect the amount of data they store to double in the next two to three years. • 62% of respondents currently store at least 100 TB of data. • Respondents reported an average of 38% of their current data as unstructured. 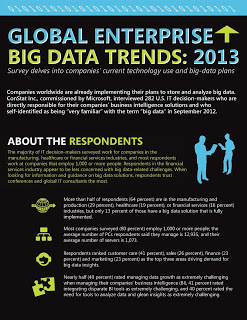 • 89% already have a dedicated budget for a Big Data solution. 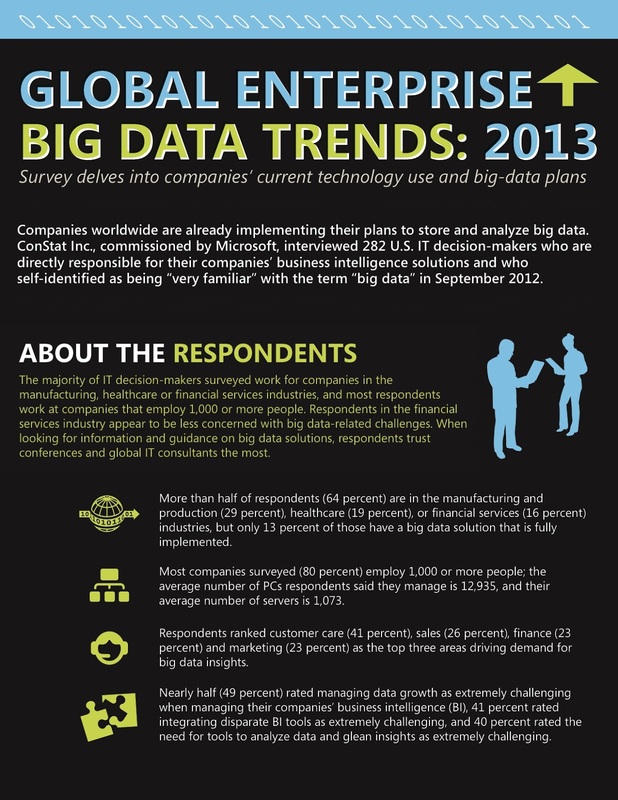 • 13% have fully deployed a Big Data solution. • 72% have begun the planning process but have not yet tested or deployed a solution; of those currently planning, 76% expect to have a solution implemented in less than one year. • 62% said developing near-real-time predictive analytics or data-mining capabilities during the next 24 months is extremely important. • 58% rated expanding data storage infrastructure and resources as extremely important. • 53% rated increased amounts of unstructured data to analyze as extremely important. • Respondents expect an average of 37% growth in data during the next two to three years. Hope to see you at Big Data TechCon. Modern companies thrive by harnessing and interpreting data. The more data we have, and the more we focus on analyzing it, the better we can make decisions. Data about our customers, data about purchasing patterns, data about network throughput, data in server logs, data in sales receipts. When we crunch our internal data, and cross-reference it against external data sources, we get goodness. That’s what Big Data is all about. Data crunching and data correlation isn’t new, of course. That’s what business intelligence is all about. Spotting trends and making predictions is what business analysts have been doing for 40 years or more. From weather forecasters to the World Bank, from particle physicists to political pollsters, all that’s new is that our technology has gotten better. Our hardware, our software and our algorithms are a lot better. Admittedly, some political pollsters in the recent United States presidential election didn’t seem to have better data analytics. That’s another story for another day. 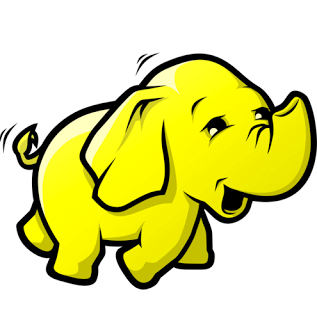 Is “Big Data” the best term for talking about data acquisition and predictive analytics using Hadoop, Map/Reduce, Cassandra, Avro, HBase, NoSQL databases and so-on? Maybe. Folks like Strata conference chair Edd Dumbill and TechCrunch editor Leena Rao think not. Yes, “Big Data” is a fairly generic phrase, and our focus should rightfully be on benefits, not on the 1s and 0s themselves. However, the phrase neatly fronts a broad concept that plenty of people seem to understand very well, thank you very much. Language is a tool; if the phrase Big Data gets the job done, we’ll stick with it, both as a term to use in SD Times and as the name of our technical training conference focused on data acquisition, predictive analytics, etc., Big Data TechCon. The name doesn’t matter. Big Data. Business Intelligence. Predictive Analytics. Decision Support. Whatever. What matters is that we’re doing it. Friendly, yes. Effective? Not at all close. Alan, you see, lives in northern California, not in central Texas. Alan rarely goes to Austin. Alan has never originated a round trip from Austin. My most recent trip to Austin was from SFO to AUS on Feb. 13, 2011, returning on Feb. 15, 2011. The trip before that? In 2007. Technically United is correct. It indeed has been a while since my last trip from Austin. Who cares? Why in the world would United News & Deals — the “from” name on that marketing email— think that I would be looking for discounted round-trip flights from Austin? It is Big Data gone bad. We see example of this all the time. A friend loves to post snarky screen shots of totally off-base Facebook ads, like the one that offered him ways to “meet big and beautiful women now,” or non-stop ads for luxury vehicles. For some reason, Lexus finds his demographic irresistible. However: My friend and his wife live in Manhattan. They don’t own or want a car. Behavioral ad targeting relies upon Big Data techniques. Clearly, those techniques are not always effective, as the dating, car-sales and air travel messages demonstrate. There is both art and science to Big Data – gathering the vast quantities of data, processing it quickly and intelligently, and of course, using the information effectively to drive a business purpose like behavioral marketing. Sometimes it works. Oops, sometimes it doesn’t. Being accurate isn’t the same as being useful. Where to learn that art and science? Let me suggest Big Data TechCon. Three days, dozens of practical how-to classes that will teach you and your team how to get Big Data right. No, it’s not in Austin— it’s near Boston, from April 8-10, 2013. Hope to see you there— especially if you work for United Airlines or Lexus. It take a lot to push the U.S. elections off the television screen, but Hurricane Sandy managed the trick. We would like to express our sympathies to those affected by the storm – too many lives were lost, homes and property destroyed, businesses closed. 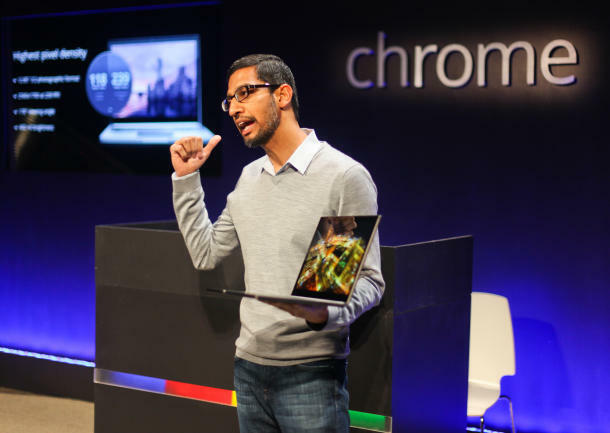 Microsoft and Google had scheduled tech events for the week of Oct. 29. Build took place as scheduled on the Microsoft campus in Redmond, Wash. Google cancelled its New York City launch event and offered its products rollouts via blog. The big Microsoft news was the release of Windows Phone 8, with handsets from HTC, Nokia and Samsung set to go on sale starting in November. This follows, of course, the rollout of Windows 8 and the Surface with Windows RT ARM-based notebook/tablet device on Oct. 26. Everyone that I know who has talked to who has used a prerelease Windows Phone 8 has been impressed. (I have a Windows Phone 7.5 device and find the Live Tile apps to be quite usable and exciting. I look forward to installing Windows Phone 7.8 on that device.) Through a strong program of incentives for app developers, there are many flagship apps for the phone already. You can use Visual Studio and familiar tools to build apps for Windows Phone 8. Windows Phone 8 is almost identical to Windows 8, so there’s minimal learning curve. Windows Phone 8 is a reboot of the platform, which means you’ll face few competitors in the app store, called Windows Phone Store. 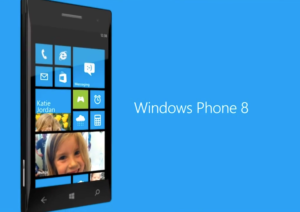 The installed base of Windows Phone 8 is nonexistent, compared to gazillions of iOS, Android and even BlackBerry OS. If I were an entrepreneurial mobile app developer, I’d give Windows Phone 8 a try. Google’s news was much more incremental: More hardware and a minor rev of Android. The new hardware, announced in the Google Official Blog, is a new phone called the Nexus 4 and a 10-inch tablet called the Nexus 10. The big tablet has 2560×1600 display – that’s the same resolution as many 27-inch desktop monitors, and I’d love to see one. 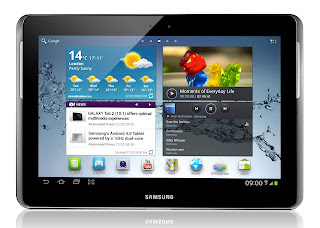 Google’s seven-inch tablet announced during the summer, the Nexus 7, came only with 16GB of RAM and WiFi. Now you can get it with 32GB RAM or GSM-based cellular connections using the HSPA+ mobile standard. These are good hardware upgrades, but aren’t “stop the presses” material in the weeks surrounding the launch of Windows Phone, Windows Phone 8, Surface and Apple’s iPad Mini. Heck, the tablet doesn’t even have 4G. The operating system update is Android 4.2, which is still called Jelly Bean. There are plenty of consumer features, such as a spherical panoramic camera mode, and a smarter predictive keyboard. The ability to support many users is a good feature, and one frankly that is long overdue for these expensive tablets. Expect to see more about Android 4.2 at AnDevCon IV, coming up Dec. 4-7, 2012. Maybe someone will bring one of those 10-inch tablets so we can see the screen. I don’t like the trend toward ‘brogrammers’ – that is, a very chauvinistic, juvenile attitude that seems to be creating a male-centric, female-exclusionary culture in software development departments – and across IT. It’s time to put an end to the put-downs, pin-ups, constant sports in-jokes and warfare metaphors, management by belittlement, and insulting locker-room attitude. When I was a student studying math and computer science, nearly all of my fellow students, and nearly all of the faculty, were male. 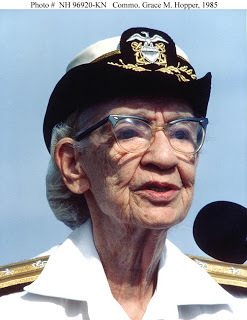 Although my idol was Admiral Grace Hopper, there were few Grace Hoppers in our profession to serve as role models for young women — or men. Change came slowly. In the 1980s, nearly all writers of technical articles in computer magazines were male. Nearly all readers were mail. Nearly all attendees of technology conferences were male; the females at the show were almost exclusively marketers or booth babes. Much has changed in the past few decades. For example, while the demographic research shows that most SD Times readers are male, the percentage of female readers is rising. The same is true of the technical conferences that our company produces. While female faces are still a minority, that is becoming less true every year, thanks in part to organizations like the Anita Borg Foundation. That’s a good thing. A very good thing. Our fast-growing, demanding profession needs all the brainpower we can get. Women, we need you. Having female programmers on your team doesn’t mean that you need to buy pink mice and purple IDEs. It means that you have more top-notch architects, coders and testers, and you will create better software faster. That’s why the so-called brogrammer trend is so infuriating. Why don’t managers and executives understand? A few days ago, a female techie friend wrote to me in anger about a new website called Hot Tech Today which features short technology stories allegedly written by attractive young women posing in bikinis. We are better than this. We must be better than this. Let’s put our resources into changing the brogrammer culture. Let’s make our profession not only safe for females, but also inviting and friendly. That means ditching the inappropriate language, curbing the stupid jokes, stopping the subtle put-downs of the women in your organization, and having a zero-tolerance rule to anyone who creates a hostile work environment for anyone, regardless of gender, race, national origin or anything. Fast cars! Fast phones! And a new developer conference! Toys, toys, toys. I love to read about new toys, especially sleek sports cars and nifty computerized gadgets. This week has been a bonanza – from two different directions. You might think my focus would be on the big annual Consumer Electronics Show in Las Vegas. Actually, I’ve been more keenly following the happenings at the North American International Auto Show, which kicked off January 9. Dozens of exciting cars and concept vehicles were introduced at the NAIAS, which is also known as the Detroit Auto Show. They include a smokin’ hot Acura NSX super car (pictured), the futuristic Lexus LF-LC, a new Mini Roadster, the four-door Porsche Panamera Turbo R, the fast-looking Mercedes SL550, the BMW i8 electric car… the list goes on and on. A big part of the news from Detroit overlapped what was also talked about at the Consumer Electronics Show. Sure, CES features lot of “ultrabook” lightweight notebook computers, incredibly thin televisions, high-definition digital cameras, three-dimensional printers, even electric razors. But automotive computers were very much front and center. There’s a lot more to computerized cars than iPod jacks or even streaming Pandora on a 28-speaker Bose sound system. Companies like BMW, Ford and Mercedes-Benz are integrating phone applications with vehicles’ onboard computers. The smartphone sends the car email and text messages. The car sends back real-time diagnostics. I’m told you can even make phone calls! Soon, you will update your car’s firmware as often as you update your smartphone’s apps. To change the subject only slightly: Let’s talk about developing smartphone software. You know that BZ Media – the company behind SD Times and News on Monday – produces developer conferences for Android and iPhone/iPad developers. We are proud to announce support for another platform at WPDevCon: The Windows Phone Developer Conference. WPDevCon is coming to the San Francisco Bay Area from Oct. 22-24, 2012. We are currently assembling a full slate of workshops and technical classes, and the program will be ready in early March. However, we invite you to check out the website, www.wpdevcon.net, and of course, mark your calendar if you or your colleagues are interested in attending. Which is more interesting to you, the latest cars at the Detroit Auto Show or the snazzy gadgets at the Consumer Electronics Show? 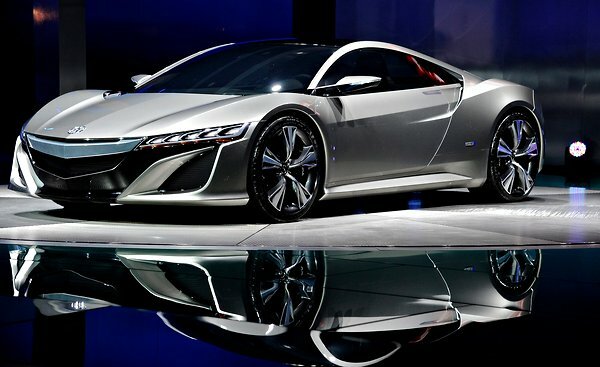 https://alanzeichick.com/wp-content/uploads/acura-nsx-slide-I86Y-slide.jpg 196 320 Alan Zeichick http://alanzeichick.com/wp-content/uploads/alan-zeichick-logo.png Alan Zeichick2012-01-14 13:28:002016-06-23 09:32:10Fast cars! Fast phones! And a new developer conference! 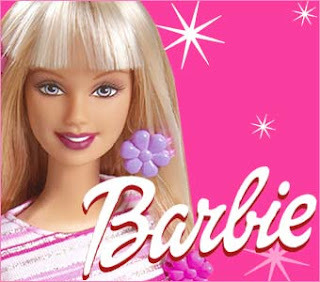 In case you’re wondering where booth bunnies come from, here’s an e-mail I received from “Barbie” at The Élan Agency. It came because we’re exhibiting at the Interop (not “Interopt”) conference at the end of April in Las Vegas. Have fun checking out their model search engine: They have men, women and children, all available for your trade-show extravaganza! The Élan Agency is a top of the line model and talent agency in Las Vegas and – first – want to welcome you to our city, in advance. We would also like to offer the agency’s services to your company while here in Las Vegas. We have some of the most beautiful and professional narrators and models for your trade show needs. We have spokespersons, demonstrators; we even have entertainers and guest speakers for the entire company’s enlightenment, as well as a complete event planning department. We can schedule shows, meals, even your airline tickets. Please let us know if there is any way we can assist you at Interopt Las Vegas 2008, and have some fun while you’re here. http://alanzeichick.com/wp-content/uploads/alan-zeichick-logo.png 0 0 Alan Zeichick http://alanzeichick.com/wp-content/uploads/alan-zeichick-logo.png Alan Zeichick2008-03-09 15:27:002016-06-15 17:11:25Rent-a-model for Interop? Should you talk to men and women differently? I received this pitch today from Event Management Services, a self-described “publicity firm.” Frankly, it’s too amusing not to share with everyone. This is a verbatim cut-and-paste, with phone number and e-mail addresses removed. Note that the the e-mail pitch itself was a rich HTML file with lots of colors, bolding, italicizing, centered text, larger text, underlining etc., which I don’t feel like replicating completely. Should You Talk to Men and Women Differently About Your Product? You probably chat with both men and women just about every day, right? But are they hearing you in exactly the same way? And when it comes to the selling of your products or services, would it pay to speak to them… well… differently? There’s probably more truth in Barletta’s observations than we care to admit. And if your product specifically targets men or women—and you’re out there doing TV or talk radio interviews—it’s a good idea to pay attention to how you talk to them. Along the lines of the above “outline versus detail-rich” way of speaking I mentioned, women place great value, according to Barletta, in personalizing conversation. Men apparently don’t. Assuming that’s actually the case, how could you use this in media interviews or even your marketing? Well, if you’re targeting women, you might try telling more stories of how people respond to your product or service or how a person’s life was improved by it. You might also tell your own story, particularly if it was challenging, moving or heartwarming. Conversely, if you’re targeting men, you might focus on the “nuts and bolts” of your product. How things work, why they work and their future usage—things like that. And what if you’re speaking to both men and women? Just blend the two approaches. Personalize your information and give out the nuts and bolts in your own particular style. 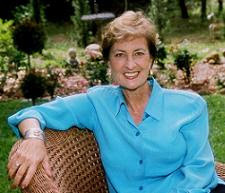 I’m Marsha Friedman, CEO of Event Management Services, one of the country’s only Publicity and Advertising firms that offer a “media guarantee”. There’s a lot more on this subject of talking to men and women differently that I will share with you in future emails. For now, let me leave you with this: The difference between men and women extends to the way we hear things…and you should be prepared to address that. P.S. I mentioned the value of personalizing things for women? Barletta wrote, “To women, personal ties are a good thing—in fact the best thing.” Maybe you could use that tidbit in your next interview, too. http://alanzeichick.com/wp-content/uploads/alan-zeichick-logo.png 0 0 Alan Zeichick http://alanzeichick.com/wp-content/uploads/alan-zeichick-logo.png Alan Zeichick2007-03-28 20:14:002016-06-15 17:07:05Should you talk to men and women differently?